Employees using salary surveys to request a raise? Employees who feel aggrieved about their pay will often fire up their Google machines and go hunting for any salary survey that can bolster their case for a pay raise. The surveys aren’t scientific. Most data is randomly self-reported by individuals or organizations, and it depends on them to be truthful. That isn’t always the case. Survey data can be insufficient. Reports typically generate salary averages by ZIP codes. However, the volume of data from many ZIP codes is too small to give an accurate salary range for that area. Comparisons aren’t apples-to-apples. 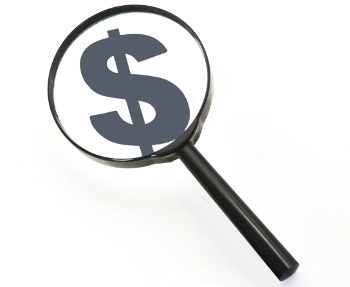 Salary surveys rely on respondents to match their job to a description. However, jobs with similar titles may differ dramatically from company to company; and jobs with different titles may be similar. Jobs with similar salaries may re­­flect different experience and duties. For example, a salary range for graphic designers may not reflect the differences in one who works only with the latest technology and has several certifications, and one who doesn’t. Industry data can be inaccurate. The best salary data is provided by a company’s direct competitors, but free websites typically lack such statistics or don’t have enough of it to be accurate. Surveys often lack details about participating businesses, such as name, location and number of employees. The results don’t cite the number of responses and how they were chosen. Survey may be biased. With some trade association surveys, the data is not objective, and it’s designed to put an industry in the best light. 2015 pay raises: U.S. employers are budgeting for base pay raises, on average, of 3.1% in 2015, up slightly from 2014. Do I have to grant leave for employees who have been summoned or subpoenaed?